Think the drive-through is the only way you’re going to put food on the table? 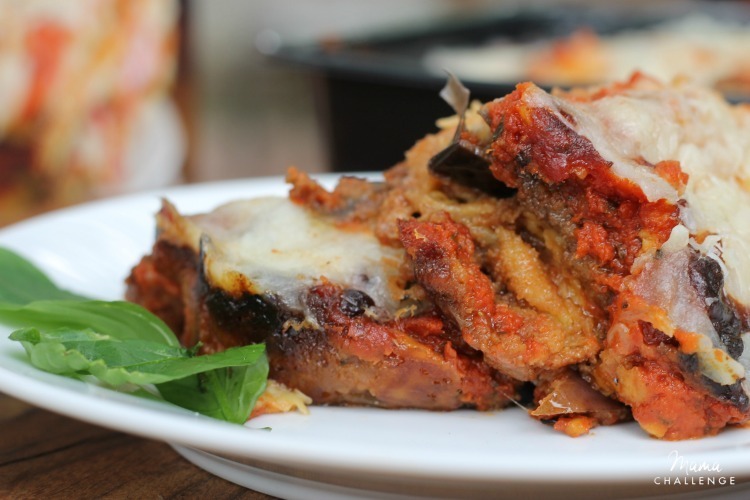 Healthy and quick meals are possible with help from Michael Angelo’s. 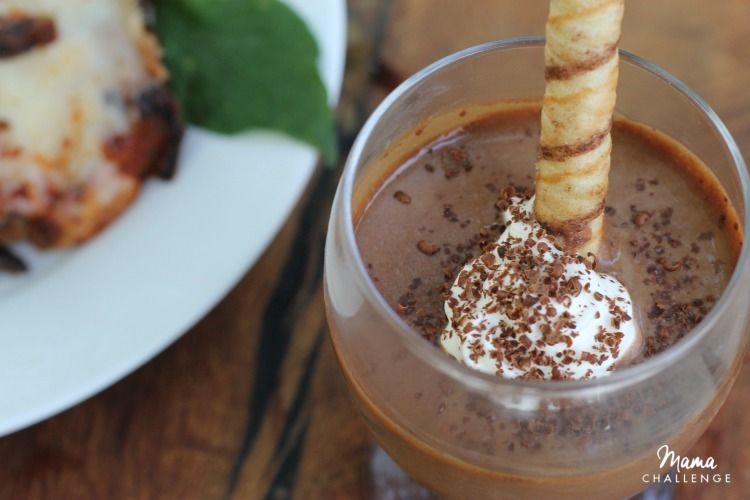 Paired with this Hazelnut Chocolate Mousse and this pairing will soon be your new go-to every day that ends in Y. Want to know the last time I made dinner for my family from scratch? Honestly, I can’t remember the last time I spent hours slaving away in the kitchen, but last night I was able to serve a made-from-scratch meal made with real ingredients with no preservatives or artificial ingredients. All with a little help from Michael Angelo’s Signature Line. With our busy work schedules, kids’ practices, and the other stuff that comes up, it doesn’t matter how planned out I was hoping dinner was going to be, it just doesn’t happen. 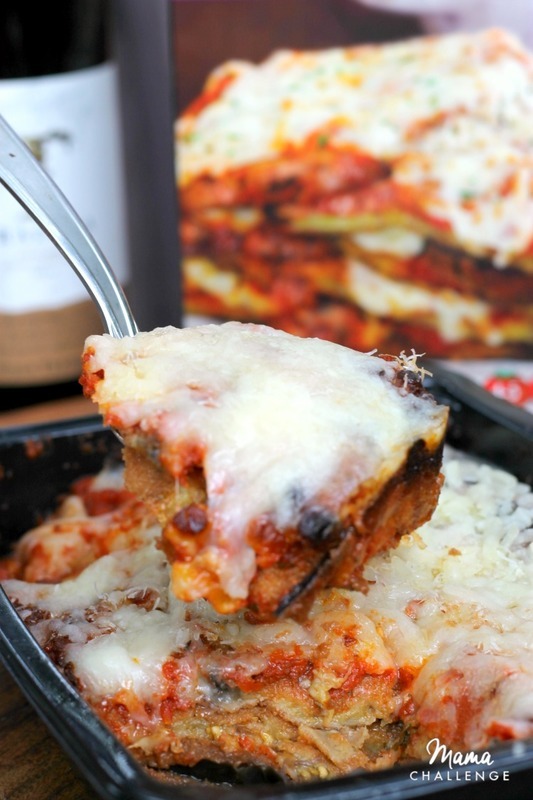 So I always pick up a Michael Angelo’s meal (find yours here) and have it ready for those days it just “ain’t gonna happen.” And with choices like eggplant parmesan, shrimp scampi, and lasagna, everyone looks forward to mama’s “Italian night” even if the mama they’re really talking to is Michael Angelo’s mama, Sara. All I do is put it in the oven and get ready for everyone to say “smells good, mama,” and viola. Michael Angelo’s Eggplant Parmesan with eggplant, tomato sauce and lots of cheese: mozzarella, parmigiano reggiano and recorino romano. Michael Angelo’s Shrimp Scampi with plump, tender shrimp with lemon butter, garlic, tomatoes and parsley. 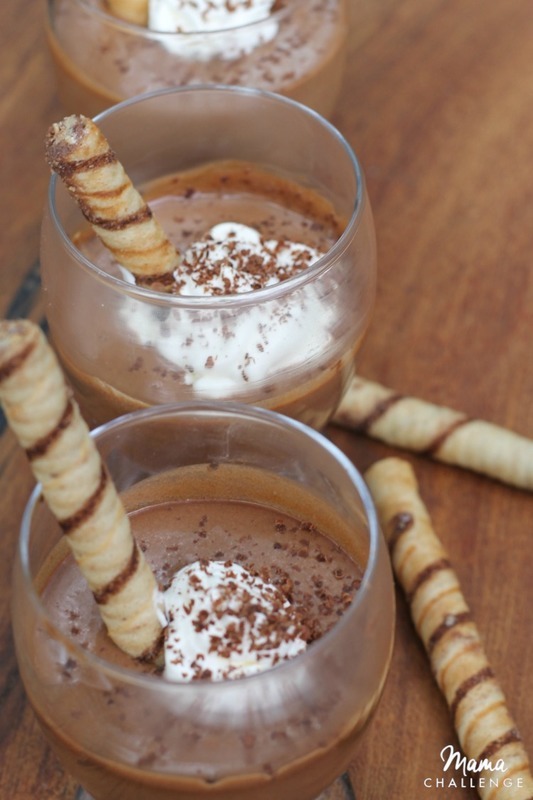 Like the Michael Angelo’s meals, the hazelnut chocolate mousse is super easy and oh so good. Just like Italy, the desserts are actually not complicated, but totally full of flavor. The twist of hazelnut (another Italian staple) tastes just makes you think it took a long time to make and when you really want to seal the deal, you throw in a little whipped cream and shaved chocolate to make the ooohs and ahhhs even longer. In a saucepan, whisk together eggs, ½ the sugar, and ¾ cup heavy cream. Cook over a medium-low heat, stirring approximately 3-4 minutes, but don’t allow to boil. Strain into bowl and chill. With an electric mixer, beat remaining 1 ¼ cups heavy cream and the remaining sugar. Whip until still peaks form. Stir in 1/3 of whipped chocolate into cooled custard mixture, then fold in the rest with a rubber spatula. Spoon into dishes, chill, covered for at least one hour. Optional: Add whipped cream and shaved chocolate, but it’s totally good just the way it is. This is a no fuss, no mess, no time dessert that everyone will love served with your favorite Michael Angelo’s Signature Line dish. Holy. Moly. Chocolate and hazlenuts are my favorite combination. I can’t wait to make this and then not share it with ANYONE. OMG, it’s my favorite flavor combination! 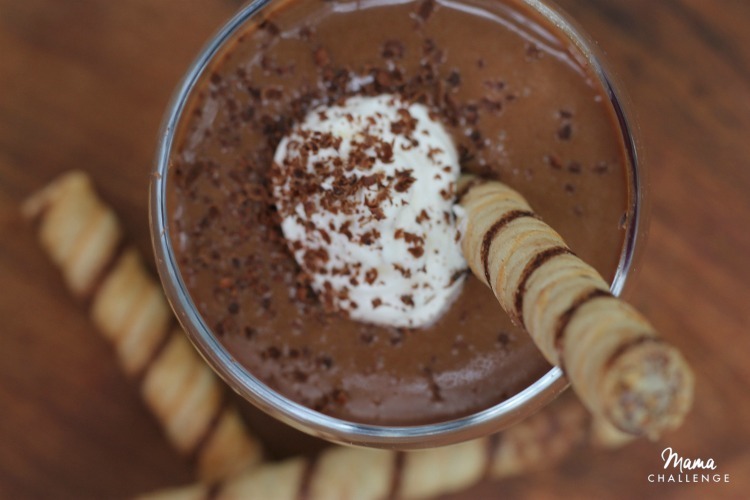 I love hazlenut/chocolate bars, so I cannot wait to make that same deliciousness in mousse form. Yummo! I want that mousse so bad I can taste it right off the screen!! I want this! I am totally making this at my next girls night! That mousse has my name all over it. I am all about the chocolate mousse desserts because they are light and fluffy in taste. Mmm… I love mousse and I love lasagna! Great recipes! This all looks so delicious. I love mousse. It’s so creamy and decadent. 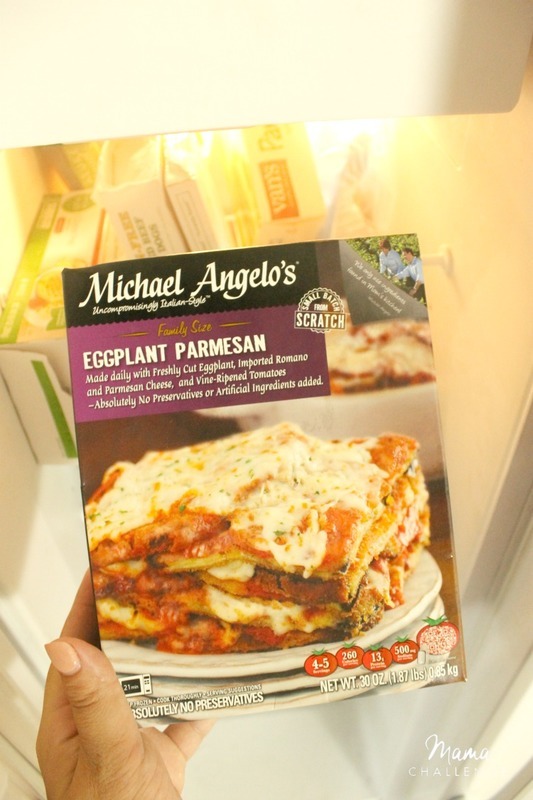 I would love to try the Michael Angelo’s Eggplant. This mousse recipe looks so delicious and easy to make. This looks like such a tasty sweet treat! I would love to recreate it for my family. Wow! That looks amazing! I can’t wait to try the recipe! Italian food is my favorite and your whole meal looks so good. That chocolate hazelnut mousse for dessert is the perfect sweet ending, too.